Nicole Cardoza, the founder behind Yoga Foster, pictured above, empowers teachers with yoga and mindfulness training, curriculum, self-care resources and yoga mats to create healthier, happier classrooms for kids. In celebration of Yoga Day 2018, we sat down with Nicole to learn more about Yoga Fosters’ mission, her just-announced partnership with CorePower Yoga and teaching the ‘practice’ of mindfulness in classrooms as part of a wellness curriculum. Why the name Yoga Foster? Our intention is to really help foster Yoga programs, not just for teachers and not just for the students, but to help move the Yoga movement forward and help propel this work into the mainstream. Yoga has been seen as a very exclusive, very limiting practice and only for certain people, certain body types or people of a certain age. As we get yoga into schools, and the kids grow up knowing that this practice is theirs, it will help shape a more diverse practice for all. What can teachers, students and parents expect from the Yoga Foster program? We have found that with any new programs introduced into the classroom, parents definitely have questions, but, over all, they want their kids to feel safe and calm in the classroom. 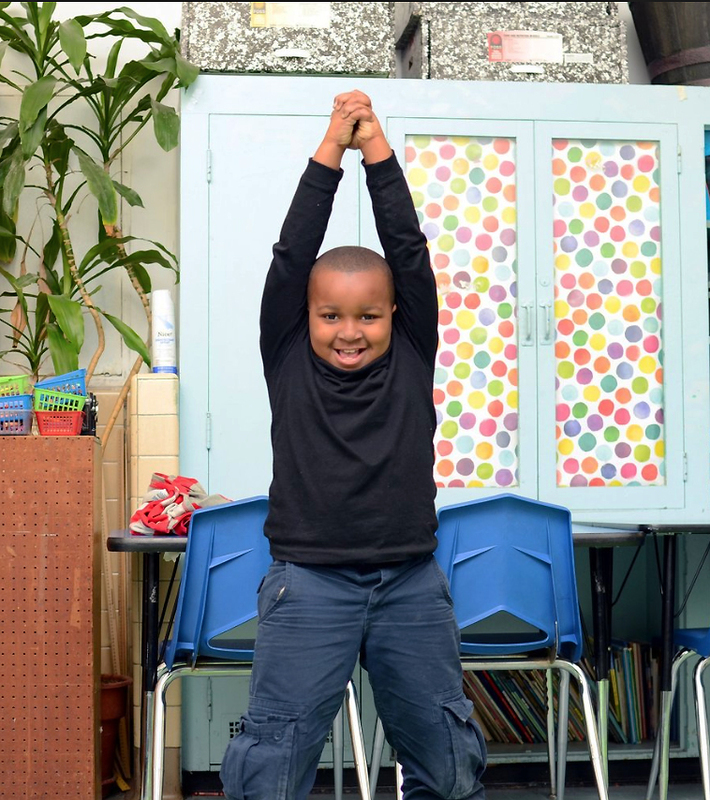 What’s so wonderful about an in-classroom yoga experience is that kids get to do both. There’s the physical and the mental component, the calm and the focus that can grow through the practice in a child. It’s really about body/mind/soul in terms of a child’s development. Yoga Foster is set up to be really accessible. We have videos, webinars for parents to jump in. It’s really a great opportunity for us to teach parents about what we do especially since the wellness industry is one of the fastest growing industries in the U.S. and studios are opening all the time. And it’s wonderful to be able to show parents something new and what this practice can do, because we want to show them that this practice is also for them as well as the teachers and their kids in the classroom. 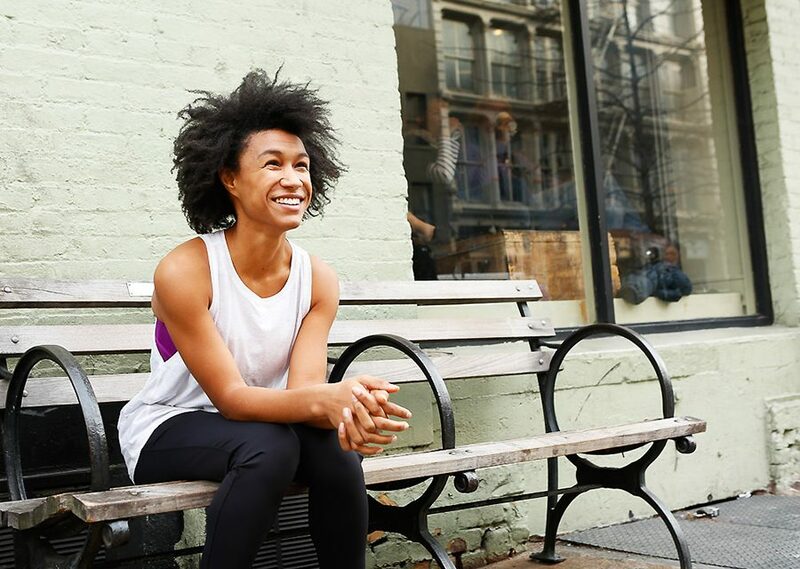 How did you get involved with CorePower Yoga? It’s a beautiful synergy. We started Yoga Foster in 2014. The way we work our business model is to train teachers to bring yoga into their classrooms by engaging the wellness community to give back. As soon as I introduced this program as a company, we started doing donation-based yoga to raise awareness and to raise funds to make this work possible. CorePower Yoga was looking for a way to do donation-based classes at scale and our organization over the past four years has now scaled to work with schools in 49 states. We haven’t worked with schools in Alaska but we’re working on it. How do you engage the wellness community at scale? There are 50 million people that practice yoga and mindfulness in the U.S. There are 50 million public school students in the U.S. We want to scale programmatically. As a small organization, doing one-off donation yoga classes doesn’t work that well. Most studios are independently owned and there is only one of them, maybe two. But CorePower Yoga is this big analogy in this space and an incredible partner because they are where we are. And they have been looking for a way to do really impactful work locally, nationally and so they reached out to us with this idea to support Yoga Foster. 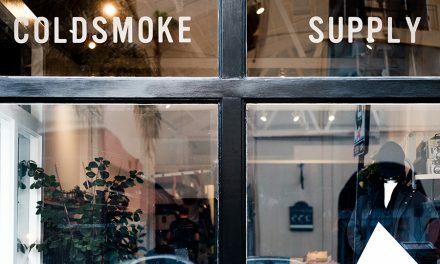 I brought them to a school; I visited their headquarters and I felt our brands are both about making yoga accessible. And it worked out really well. I’m really excited for our partnership announcement today. 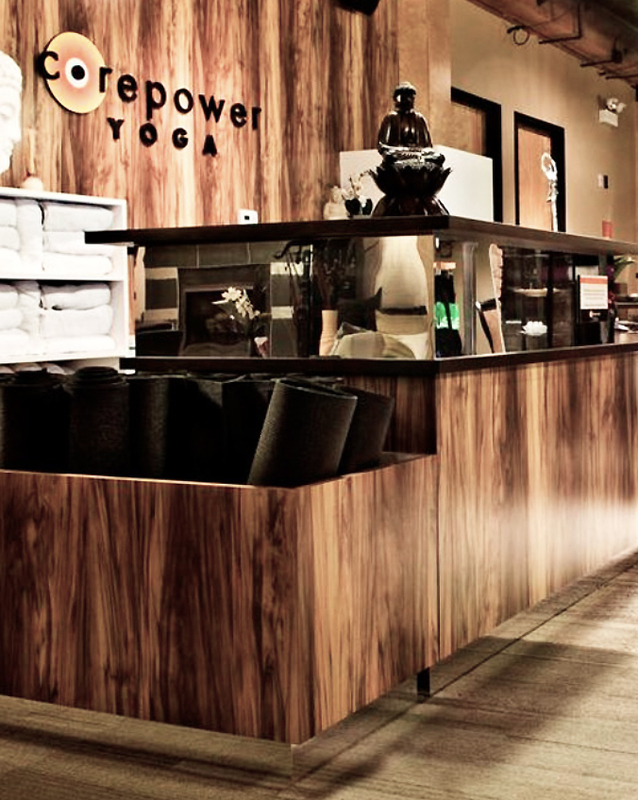 Do you have a target plan for how you would like to grow the business with CorePower Yoga supporting the effort? Yes, we have two big goals. This fall we want to reach 2500 classrooms, so this fund raiser we are kicking off today is to reach 500 of those. That’s a really big deal to reach 500 classrooms and fully fund them. Schools get everything they need to start their practice. Our goal by 2020 is to reach 10,000 classrooms. This is really the start for us going from this small organization that could … to a large organization that will. And one of those big turning points is having a partnership with CorePower Yoga. Talk with us about the kids. Is there an even split of interest in participation in the classroom between girls and boys? Yes, we have an even split between boys and girls in our classrooms. 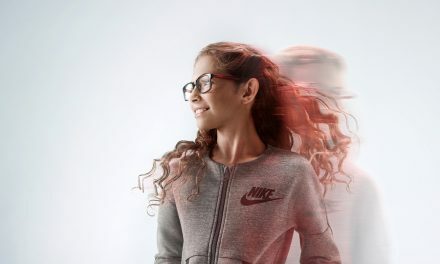 Studies show that students who are active show greater attention, have faster cognitive processing speed and perform better on standardized academic tests than children who are less active. We work with teachers to make sure that they have all of the tools that they need to be able to bring this into their classrooms. Most of the teachers are doing yoga with their whole classrooms, having short yoga breaks to transition from one subject to another. 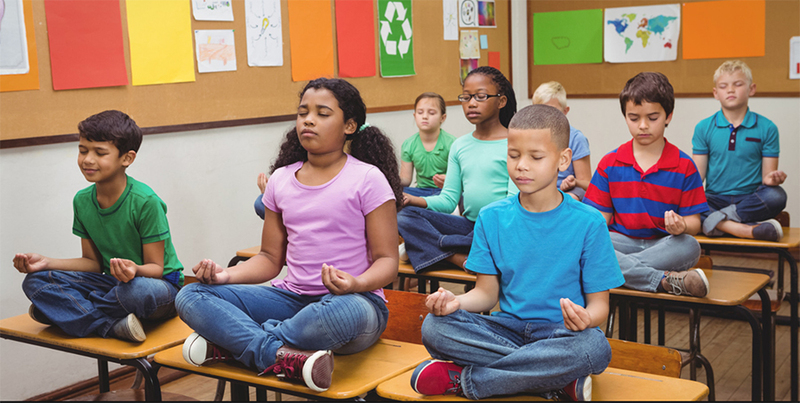 They are using mindful movement before or after a test to get kids calm and focused. They can stretch from sitting too long every day. They do after school programs. We work with gym teachers. The implementation is varied. But for most cases, we work in schools K through 8, everyone has the ability to participate. I think that there is a perception in the U.S. that it’s a female-driven practice. But that doesn’t apply in schools. Especially because it is a very accessible practice to do. It doesn’t require a team, a significant amount of stamina, or longer legs to run or reach the hoop. It resonates evenly with all types of students across gender across age. And, I think, that’s the beautiful part of the practice. And as an organization, we don’t do anything specific for girls or boys. Are teachers and schools responsible for self-funding yoga in the classroom? We are finding that yoga is becoming mainstream and that yoga as mindfulness are oftentimes lumped together. Yoga has also become more mainstream in schools over the past five to six years, and that’s incredible. It means that schools are now seeing results both locally and nationally for programs like ours that work with schools across the country. Having a teacher pilot a yoga program in a school and seeing those results, enables schools to allocate more of their budget toward this work. What are the benefits of Yoga and learning in the classroom? Yoga has proven to work with things like trauma, a key focus right now in today’s time in schools, and it improves emotional learning. New funding is opening up for that; however, schools are extremely underbudget. We see on average teachers paying $500 for course materials for their classrooms. So, although more schools are willing to do it, it doesn’t mean that the money is always there. For us, having partnerships with companies like CorePower Yoga and doing fund raisers like this, enable us to give all materials to schools free of charge. It doesn’t come out of the teacher’s pocket, it doesn’t come out of the school’s pocket and it enables schools to see this work in action without those limitations, because otherwise they might not give it a shot. When you go into a school for the first time, do you have a hard time convincing teachers to give the program a try even if the costs are covered? Schools and teachers may be weary to do it for two main reasons. First, teachers are incredibly overburdened. The main thing we hear is that ‘I don’t have the time’ to learn something new. But, on the flip side, they are increasingly required to bring in physical activity in the classroom and tools for their students to calm down. What we like to do is show them that if this is something you invest in; it can help you holistically in your classroom. It’s not something that will support just behavior; it will help support kids physically, emotionally and mentally. You can use this program as a way to get your kids moving and have them be more focused for a test and have them collaborate better. And there are not that many things that we can shift in the classroom that has that kind of approach. The other thing is that when teachers learn this practice, it supports them as much as it supports the kids. It’s important to note that having a yoga practice and a mindfulness practice for an entire workforce who are incredibly stressed and overwhelmed is just as important. The program impacts the kids but also the teachers in mitigating the stress and burnout that comes from working in such a fast-paced, high-intensity work environment. And we really love that. What tools do you give educators? We give our teachers three things: we train them; we give them the lesson plans and the training, which is just as important as teaching kids. The lesson plans are not just meditation practices that they can do with their students but meditation practices that they can do at home. Is participation in the classroom mandatory? We don’t encourage teachers to mandate participation. But usually the whole class will pause and do a 10-minute yoga practice next to their desks. They can even grab their yoga mats and go outside. Physical activity in schools is at an all-time low. 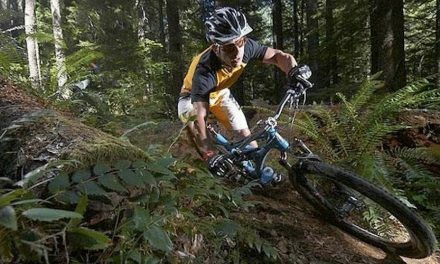 Statistics show that 21.6 percent of of six to 19-year-old children and adolescents in the United States attained 60 or more minutes of moderate-to-vigorous physical activity on at least five days per week. So this is such an easy way to get kids moving where they don’t need a lot of space, they don’t need a lot of coaching like an after school running program. If the teacher has a little space in their classroom, the kids can practice along with their teacher and when only one in three children are physically active every day, this is a big win for the kids. Is there a bonding process between the teacher and their students when they practice yoga together? Absolutely. Sitting down with kids on the ground at the same level as them on a yoga mat, going through the learning process together and shifting that dynamic in the classroom, can create such a strong collaborative environment … and the teacher gets to move and breathe. In the sweetest way, it puts the teacher in a place of rest and relaxation as well. You keep using the word ‘practice’ that changes the word yoga into a discipline, focus, connection of body and spirit. Do you agree? I do. Students in schools often don’t have a time to practice. Everything is graded and tested. It’s really important for them to have a space of practice. Are you looking to broaden the program beyond K-8 grades? Yes, we are looking to introduce the program to high schools this fall. What is the ratio of urban to rural school programs already in place? We are about 50/50 urban to rural schools across the U.S. We don’t market the program. It’s really more a grassroots growth model. Because you need very little space to practice yoga, it’s really accessible whether a school is in the city or in a rural area. If there is one thing you would like to highlight for our readers about Yoga Foster what would it be? We hope that introducing yoga to kids in the classroom will create a shift in their thinking that will last a lifetime. If we can continue to grow and do these fund raisers and take the financial burden off of parents and teachers, that means the world to me. PreviousWhy Did Winnebago Acquire Chris-Craft?